Listen now to Carmen Effron talk about about creating better customer experiences! I bet you are struggling with today's abundance of data, wondering how to make sense of it. In this podcast interview, Carmen Effron and I dig deeply into how data and the marketing strategies around it are being used by financial services, insurance companies and investment firms—Carmen's areas of expertise. Businesses large and small are rethinking their approaches to reach and retain their consumers, fueled by data. Take a listen! 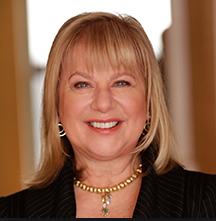 A truly exceptional consultant, Carmen Effron specializes in helping bridge the cultural divide between the financial services, insurance and investment industries, creating C F Effron Company after spending 20+ years in the corporate banking, insurance and investment worlds. Carmen provides strategy and management consulting, as well as primary and customer experience research, to numerous banks and credit unions, insurers and reinsurers, nationally and internationally. A major focus of Carmen's firm is the intersection of banking, insurance and investments. Ms. Effron also works in concert with a network of associate firms to develop top executive teams for specific projects, using best-in-class measurement and scientific data collection techniques. Ms. Effron is a certified Innovation Games® facilitator, using serious play methodology in company and board workshops to empower employees, solve everyday problems and create big ideas that turn into major market transformations. Indeed, one of C F Effron Company’s competitive advantages is the use of advanced evaluative tools that turn numbers into knowledge and create integrated and actionable strategies. Carmen works with numerous Fortune 500 companies and is a frequent speaker at industry events. Blog: Are The Customers of Tomorrow Trying To Find You Today?